Look out Neptune Beach, some hot new updates might be coming your way. 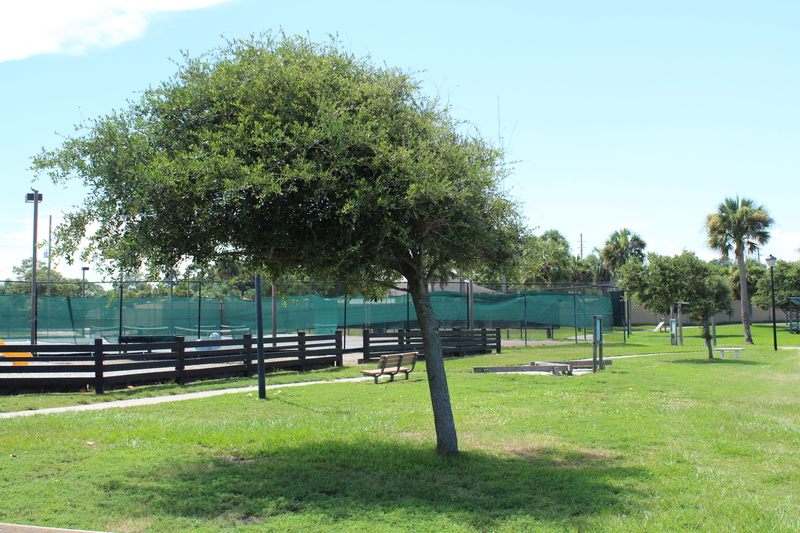 One of the central places in Neptune Beach is Jarboe Park. It’s been around for 30 years. But in all that time, it hasn’t really been updated much. The Ish Brandt Beautification Committee (a 501(c)(3)), that’s had such a heavy hand in planning the parks makeover, is completely made up of volunteers. They’re planning a total overhaul of the park, filling it with diverse activities and adding much-needed landscaping. All following photos by Kalee Ball. A pathway that leads around the stream, instead of over it. One of the few trees that offer shade in the park. A playground for older children. There is a separate playground for younger children. I walked around the park one afternoon in the heat of summer. There was only one family there when I strolled through, the parents watching their small kids play basketball. They were right about the shade … lack thereof is better to say. There was only one tree that offered shade, and the park is also pretty disjointed. A stream runs through the park, but there are only a few places to cross it. I walked around the park, but didn’t see the community garden until I was driving away. For a park though, it’s pretty nice. I live in Riverside. There are a lot of parks there, but they’re all small and spread out. I like the idea of having one big, centralized park that everyone can go to — that everyone can become a unified community in. But, the new master plan is hella cool. It’s Leslie Knope’s dream park. There are updated volleyball courts, tennis courts and basketball courts. Pickleball courts and play fountains. And trees everywhere. The committee is extremely passionate about creating what the community wants. Every meeting this park plan has is open to the public. On July 26, there’s one being held at the Neptune Beach library to gauge the community’s thoughts on the master plan. After the meeting on the 26th, the master plan will go on to a workshop with city council on August 5. This workshop is where community thoughts will be implemented. If that goes well, it’s on to a city council budget meeting on August 30. It may then be voted on Sept. 18. Then, “hopefully implementation could begin in October,” said Messinger. All of the above meetings are public. To stay updated, visit the City of Neptune Beach website or the Ish Brandt Beautification Committee Facebook page.